One passes to either side. This identifies who we want to seal for and take the shot. Our big men crisscross as usual. 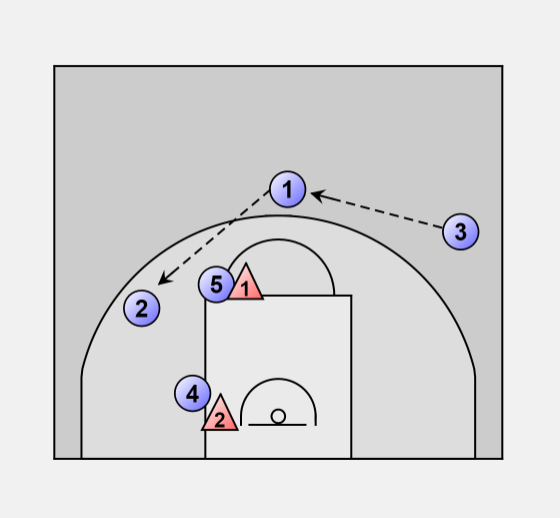 Wing man( 2 or 3) will reverse the ball back to 1 and 1 will pass to 3. Our big men do not crisscross on the reverse. We are setting up the defense. 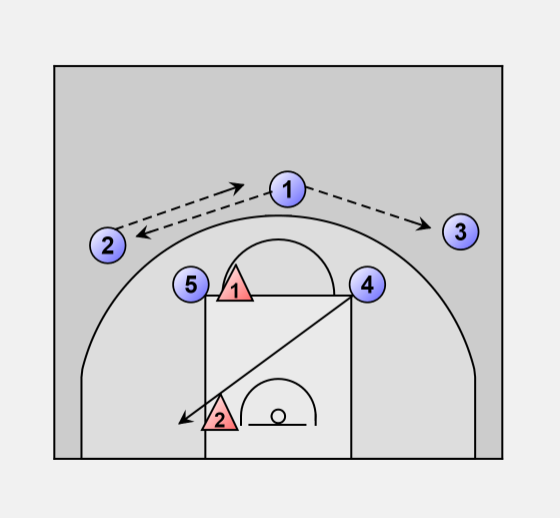 As 3 reverses the ball back, the defense will have shifted over. The 4 and 5 man seal the defenders on the side and the wing man should have a wide open 15 foot shot. 2 or 3 should not stay out on the 3 point line unless we need three pointer. They should read the defense and see where they should be in the seam for the shot. 1 can misdirect this play a little be dribbling over and in and faking pass to the high post while they are sealing the defense.